Since moving to Vietnam a lot has become apparent about the country of which I knew nothing. Vietnam is a hub of chaos. This is mentioned whenever someone speaks of the country. The saying to be forewarned is to be forearmed really has no busy in Vietnam. Everything is chaotic; the people, the traffic, the shops, there are virtually no queues (my British friends don’t know what to do with themselves!) and there is no way of preparing yourself for it! The main method of transport in Vietnam is the moped or xe ôm in Vietnamese. Most of the locals have their own. Taxi mopeds are widely available, although we have been vehemently warned off them. The streets look like an absolute maze at first but become very navigable once you learn to go against your instinct and step into moving traffic. It’s not as scary as it sounds; the sea of mopeds does actually part and move around you. It’s laughable to think that in someone’s eyes our pale, freckly skin could be considered exotic but apparently it is. How do we know this? We’re told. By everyone. Girls in nightclubs, the nurses at our medical check, teachers at our schools (although that wasn’t direct but rather said to my 2nd graders and translated by my teaching assistant!). Even the young lads on the side of the street who shout at you sound like they’re in awe rather than being sleazy because the go to lines are “hello, you are very beautiful” and a rather startling “I love you”. But beware of Vietnamese skincare products. The appreciation for light complexions means a lot of products have lightener in them. Although the effect that it would have on already light skin I don’t know.. There is a western price for everything. Kind of. Westerners as well as being extremely beautiful are also very stupid. Or so market vendors must think. There are amazing things to be found at the local markets, clothes and bags in an assortment of colours, incredible food as well as the odd touristy Buddha. But it can be quite likely that you’ll be ripped off. Bargaining, however, is common place at the markets in Vietnam and once you get used to the general prices of things you’ll learn to tell the difference between a good and a bad deal. Everyone is very touchy feely. Not in a strange way. Just more so than what I’d be used to at home. Teachers at schools grab you by the waist or in one case by the bum (although I feel that was more of a height difference thing)! The kids absolutely love touching you. We were warned by a previous intern about the “inappropriate touching” which at the time seemed very odd but now I’m used to being grabbed at, hit and prodded by fifty kids the second I enter the classroom. And god forbid you could make it all the way across the playground without saying hello a million times and fist-bumping every second child. It is adorable. It really is true what everyone says about Vietnamese people being so warm and friendly though. At some of my schools most of the teachers don’t speak English and still they’ll make the effort to make me feel welcome. I’ve been given sweets on several occasions and just this past week a Tet gift of matches and salt, a symbol of good luck for the New Year. 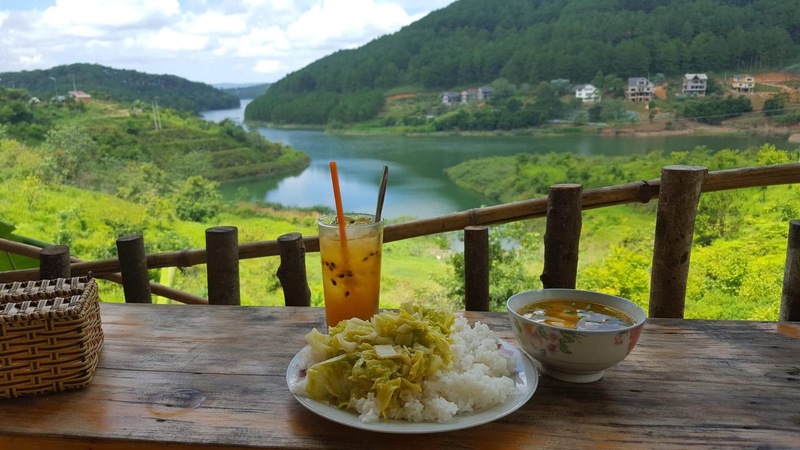 Whilst Vietnam is vastly different to home, the chaos has a certain charm and makes every day that little bit more interesting and the people are so welcoming that it won’t be long before you feel at home. Previous postResisting the Pressure to Give Up Writing. Next postThe Ups and Downs of Teaching English Abroad.